My sweetie is a Marine. Once a Marine, always a Marine, he says! This is our first Veterans Day together and I hoped to create something unique to show him I care. 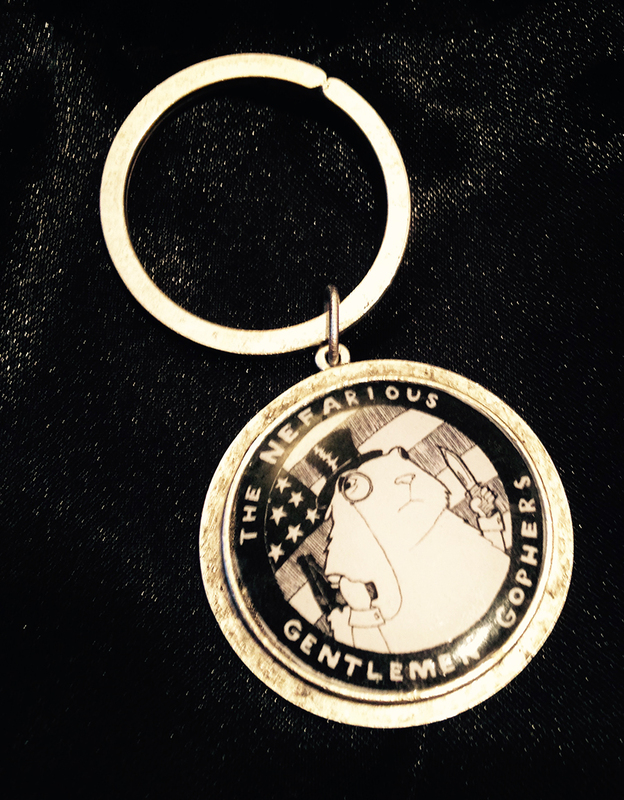 Sean shares a lot of stories from his years of service and many of them are tales of the Nefarious Gentleman Gophers. The Gophers are a sort of social club spanning several Marines units. 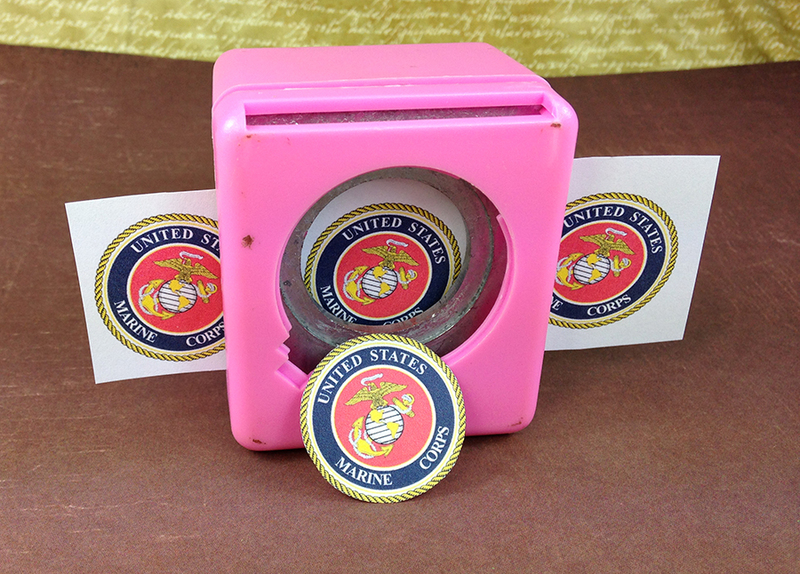 Marines often make “Moto” images. 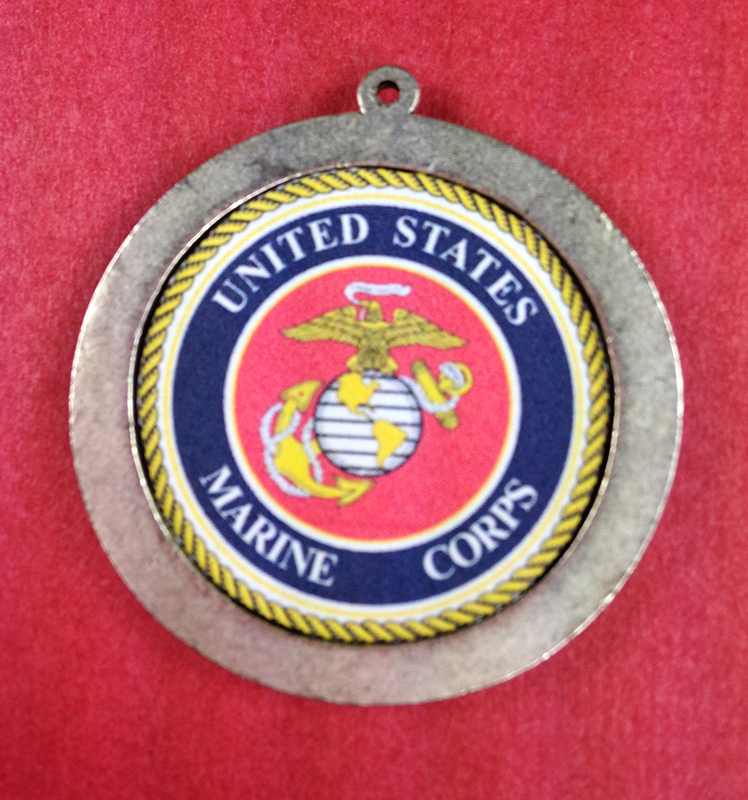 “Moto” stands for motivation and is an image used to create custom patches or dog tags. Sean had a Moto image created for the Gophers. 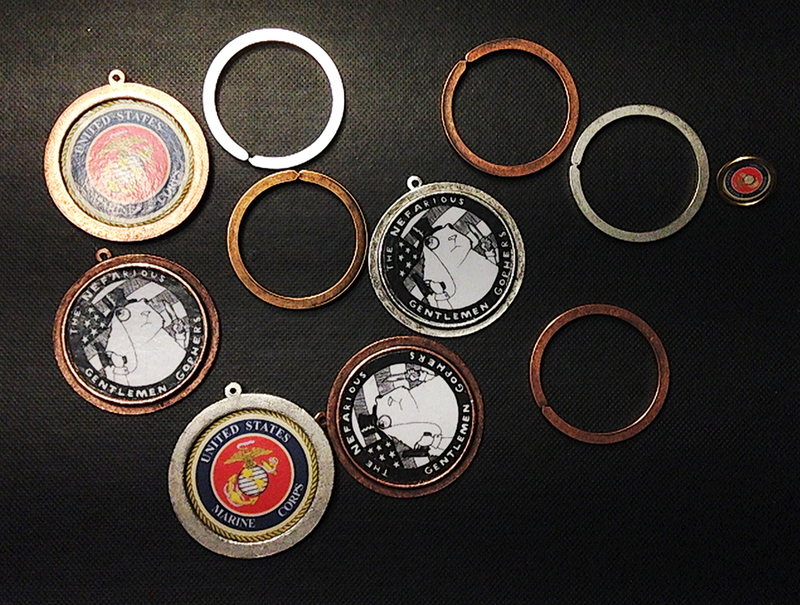 For my project I decided to make a special key-chain for Sean, and also four more for him to give to friends. He told me he knows of over 40 Marines who “belong” to the Gophers, so perhaps I will come away from this project with an order for more?! Here are the components I chose. 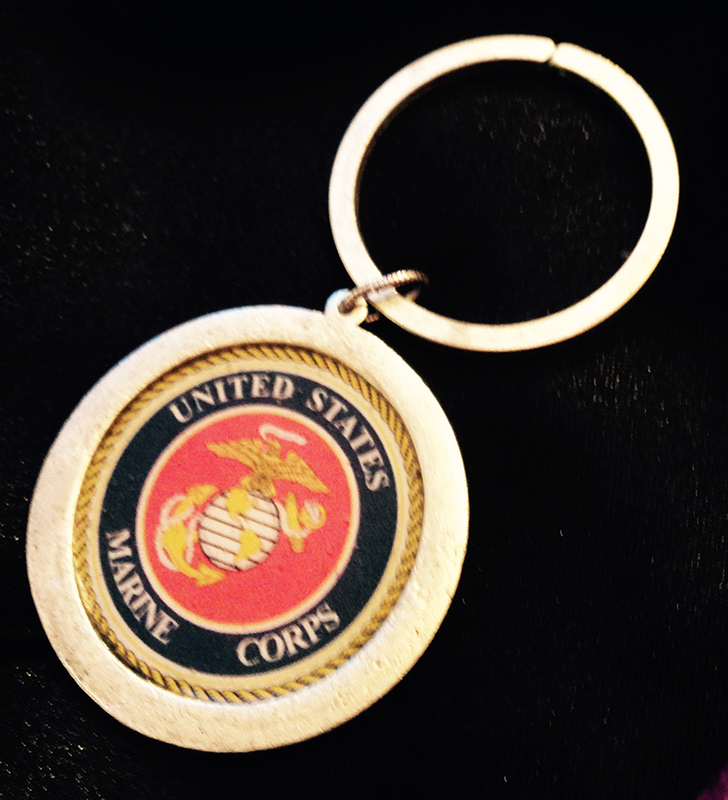 I went with Nunn Bezels and Key Ring because the high-quality precious metals plated over zinc are durable and I know they can stand up to the rough and tumble of my Marine! 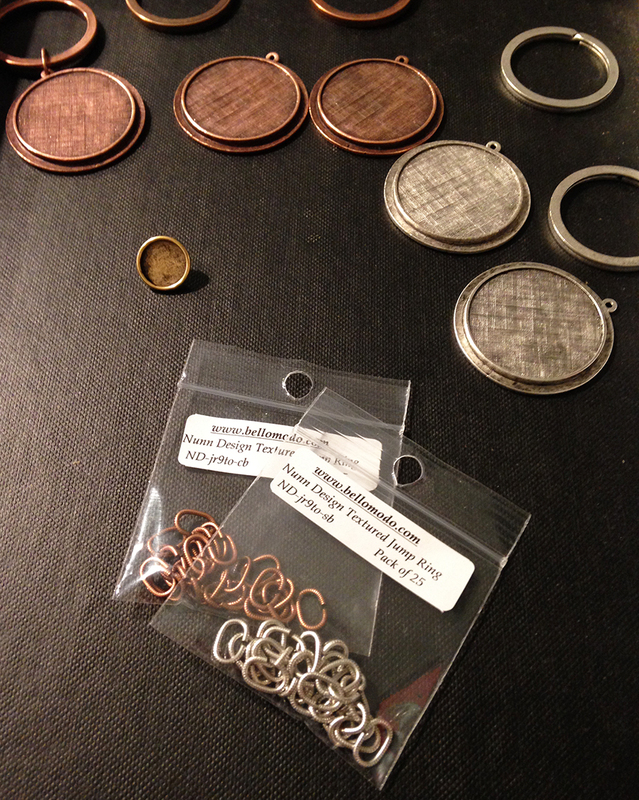 Here you can see the raised pendant bezels, key rings, and oval jump rings.. Pro Tip – Oval Jump-rings are great for an item (like a pendant or key-tag) that might endure tension or twisting occasionally. Because of the shape of the oval, the key ring and pendant both fit into the “u” shape of the oval and are quite secure. Next, I need to choose my images and re-size them. 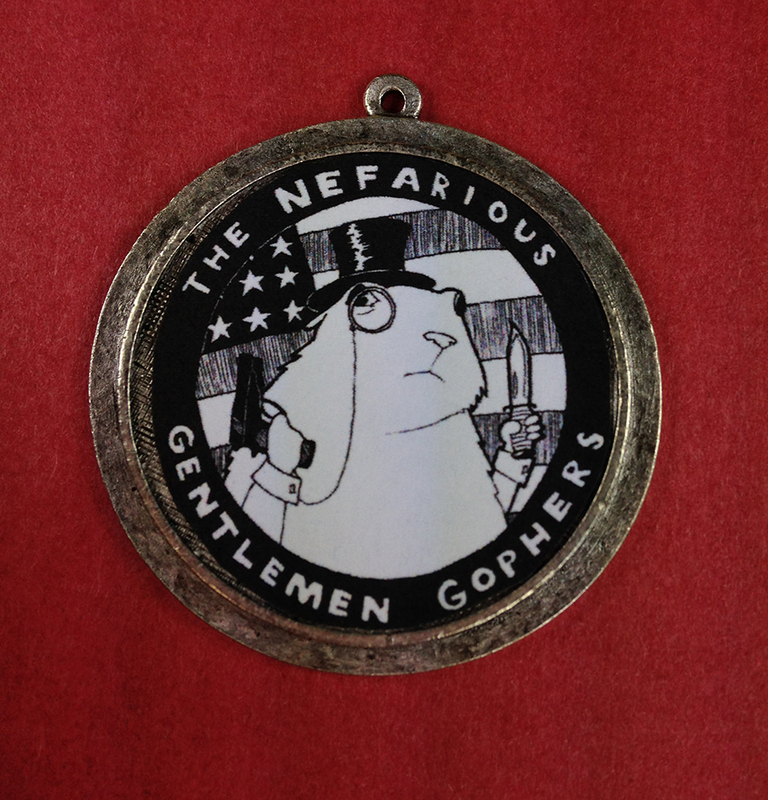 I am using the hand-drawn image for the Nefarious Gentleman Gophers and a USMC traditional logo. This was drawn by local Olympia comic artist, Chelsea Baker. I used OpenOffice to easily re-size the images. You will have to experiment and find out which image editing software works for you. 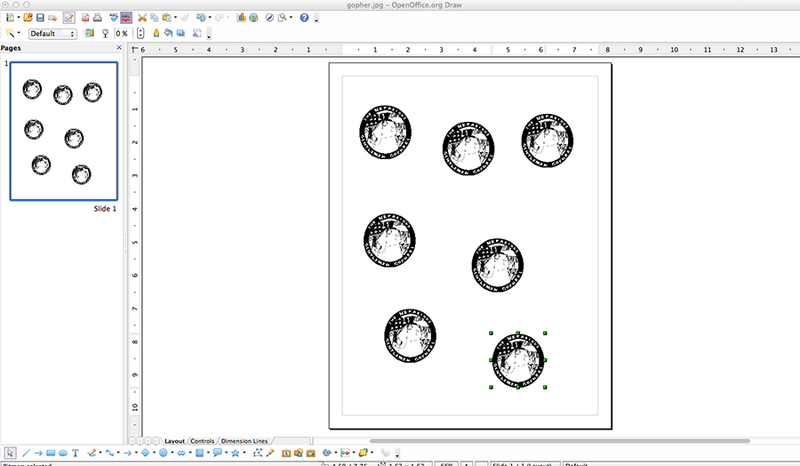 With OpenOffice, I am able to re-size the images and duplicate them quickly. Always print a couple of extra images as you might have an accident while cutting or later on with the resin. You will save yourself some time by having the extra image ready to go, just in case. Now that the images are ready to go, I have printed them on a laser jet printer. I prefer a laser jet printer as the image is heat-set on its way out! There are some tips and tricks on the internet for using an ink-jet printer if you must, though I much prefer laser jet after some trial and error. 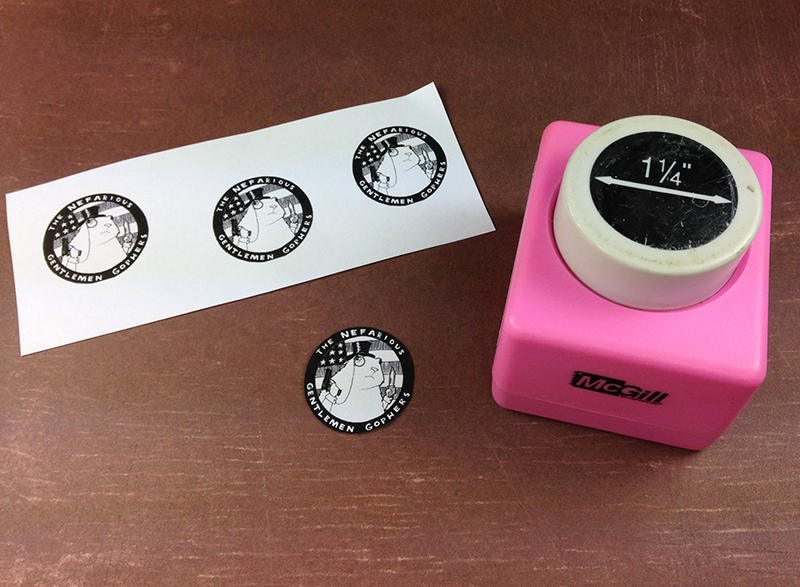 Here are the images ready to be punched out using the 1 ¼” Paper Punch. One side of the particular bezels I am using is smaller than the other. 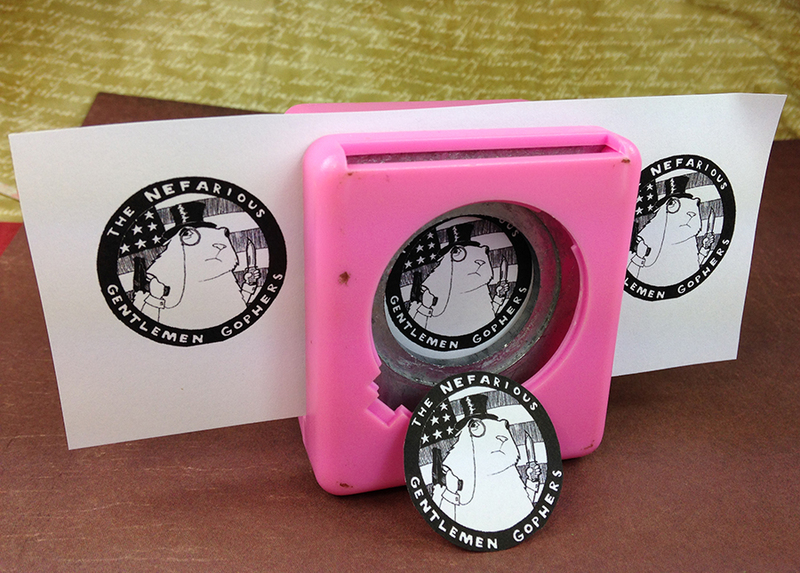 I still use the 1 ¼” punch and then scissors to trim a tiny bit around the circumference. Here are the images sitting in the bezel. 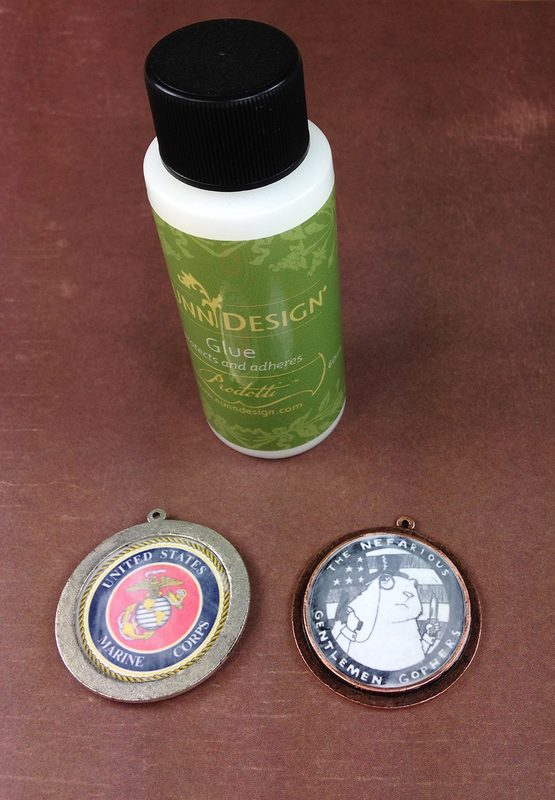 It is wise to be sure they are the proper size before you move on to the next step of sealing the images into the bezel with Nunn Silicone Glue. It is smart to seal your image onto the bezel before pouring the resin because then you do not have to worry about resin leaking under your image or distorting the colors, which occasionally happens. First, paint a thin layer of glue into the bezel. 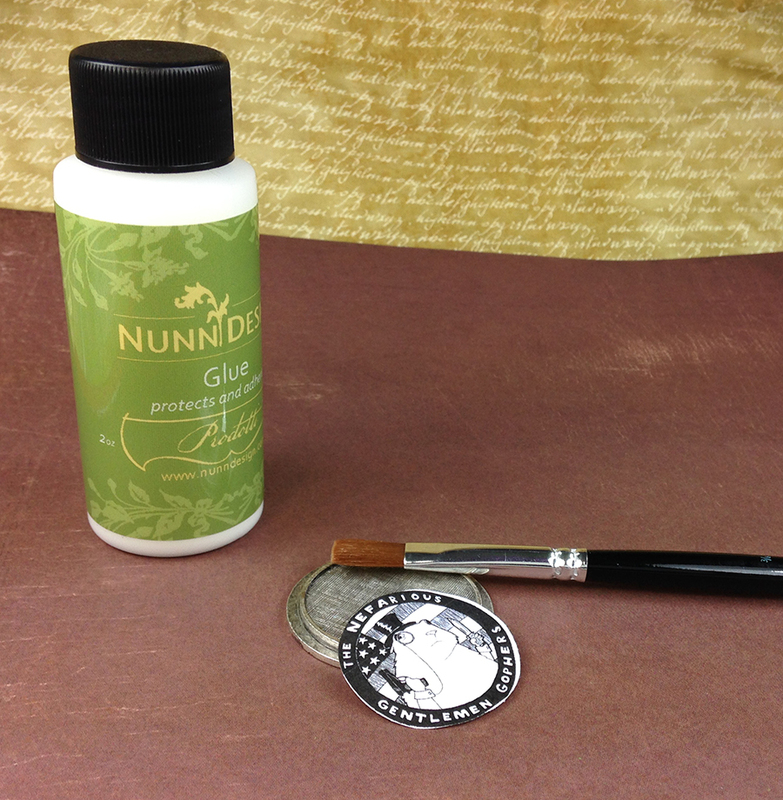 Firmly apply the image and then cover with another thin layer of glue. Don’t worry, the glue will dry clear and semi-glossy. 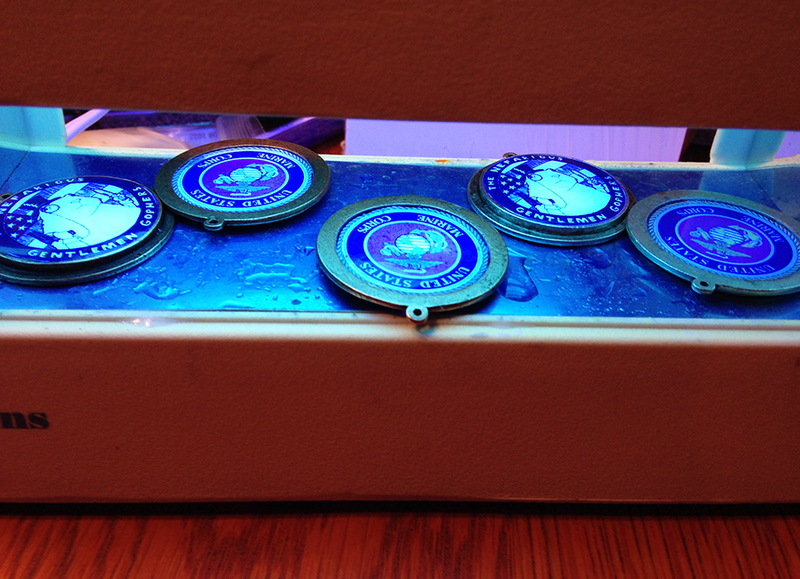 Finally, I have filled my bezels with UV Resin and they are under the UV Lamp curing. Soon the best part, giving the key-chain to my sweetie! !